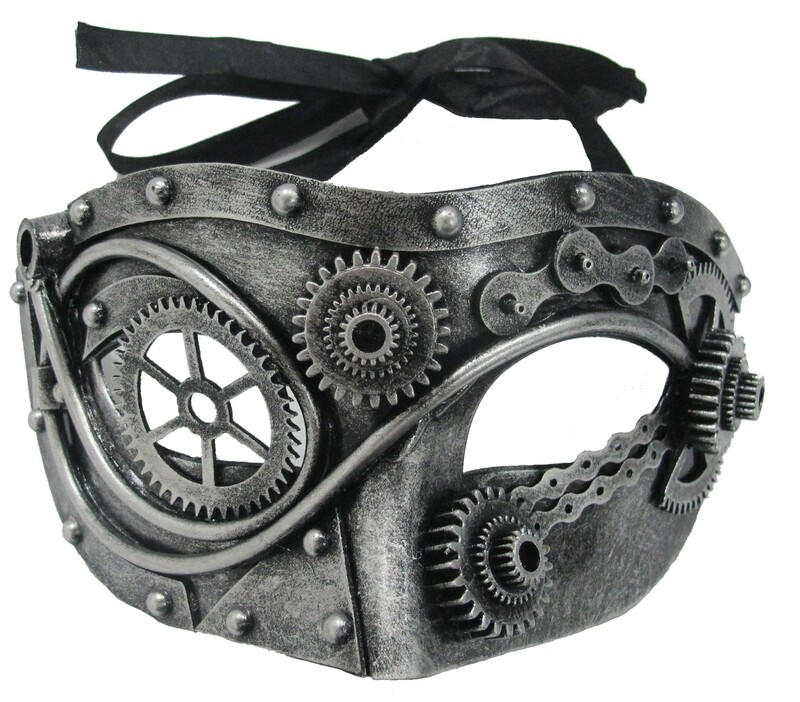 This excellent steampunk-styled mask is geared (get it?) 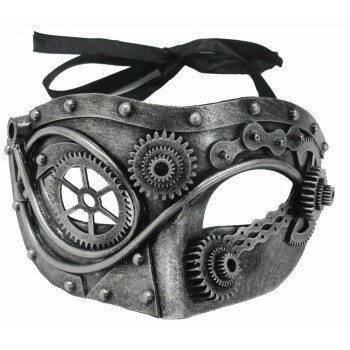 to those who favor this modern-yet-retro mechanical style and will be great to accessorize any steampunk costume. One size fits all.